The M eaningful Applied Phonics (M.A.P.) 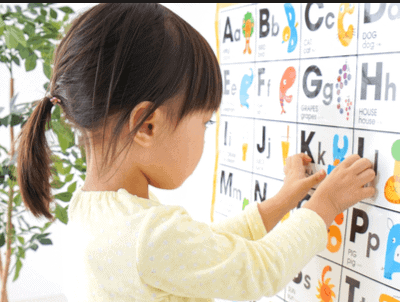 program is a prescriptive, explicit, teacher-directed approach designed to teach the alphabetic principle in a logical, sequential, and multi-sensory manner by teaching children the 70 graphemes that make up the 26 letters of the alphabet and strategies to segment and blend words into syllables. The seven schools using the M.A.P. program in this study were selected by the Edmonton Public School Board (EPSB). Students in the treatment group were taught using the M.A.P. program in Grades 1 to 3. These students were followed over the three grades and were tested at six points in time ‹ in the fall and spring of each year until the end of Grade 3. The performance of these students was compared to that of control students also selected by EPSB at similar schools who did not do the M.A.P. program. This longitudinal study spans the years of 2001-2004. Over the three years of the study, all seven treatment schools maintained their relative ranking with respect to the populations used to norm the tests. There was no systematic evidence to suggest that higher and lower fidelity of program implementation was related to differences in achievement. There was no systematic evidence to suggest that higher and lower M.A.P. method training was related to differences in achievement. SES was confounded with School such that its effects could not be distinguished from the effects of Schools. There was no systematic effect of Gender on achievement. The children in the Control group outperformed the children in the Treatment (M.A.P.) group. The evidence shows that children in the M.A.P. program performed less well than they would have performed had they been taught the programs used with the control children. Based upon the evidence produced in this study, continued use of the M.A.P. program is indefensible. Support for policy research such as this is critically important as a safeguard to ensure students receive effective programming. No program should be implemented without a thorough and systematic study of the published evidence of its effectiveness. All trials of innovative and experimental programs must be subjected to controlled comparisons and potentially disconfirmatory data as early as possible in the trials in order to protect children from the risks associated with less effective programs. Potential innovations must face strong critical appraisal in light of existing knowledge before they go to trial in the classroom. Adopting a policy of evidence-based practice is the surest guard against credulity.